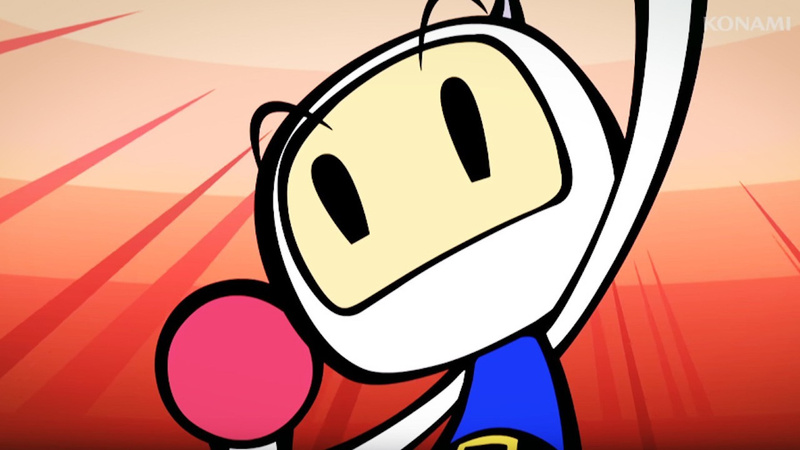 One of the most pleasant surprises of the Nintendo Switch launch line up was that of Super Bomberman R, which will see the long-awaited return of Hudson Soft's former mascot. Alongside the likes of The Legend of Zelda: Breath of the Wild, the arcade game seems to be a much simpler affair, but it will no doubt make for some excellent multiplayer both at home and on the go. What do you think? Will you be picking up Super Bomberman R? What do you think of the name? Drop us a comment in the section below. Definitely picking this one up ASAP. Looks like some serious multiplayer fun. Okay now all together: BOMBERMAN FOR SMASH! BOMBERMAN FOR SMASH! BOMBERMAN FOR SMASH!!!!! Bomberman R and Sailor Moon R are my private fantasies. And, if I'm drunk enough, not so private! I think the R stands for oveRpRiced. Yeah, I figured that is what the R means. Once the price drops a bit or a review justifies it I will pick this up. I want to show love to third parties and Bomberman in particular but it hasn't convinced me yet. Bomberman Rehash? Save yourself money and just download it on Virtual Console. Sure, why not. 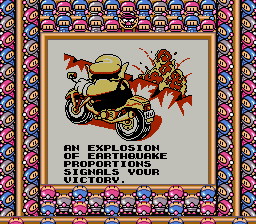 Bomberman would be cool to have in Smash. It also means 'Revision' and 'Redux' and 'Rainbow' and 'Remember' and 'Reduced' if this wants to hit 10M in sales. 'R' there any other words for Sesame Bomber Street Man? @kevfrei Day one pickup, and I'll join in on that sentiment, Bomberman Blasts away the competition! 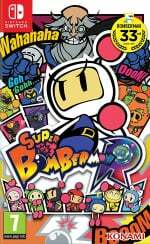 Super Bomberman Return / Romance ? Unfortunately the one I'll be looking for is Bomberman Reduced or Bomberman Repriced. I'd love to get it but it's just too expensive, might look to import as prices are cheaper through importers than retailers in Australia, which is Bomberman Ridiculous. Neat! I've had my copy preordered since they went live! Probably this and Zelda at launch. Definitely picking this one up. @kevfrei Been saying that since day one!! Nice! I can't wait to get this when it's $30! Because I didn't expected them to release a new Bomberman game in bazillion years and that was a really nice surprise. I was thinking the 'R' was for 'Ridiculous' and was a direct reference to the price!! I know what the R stands for. But I'm not allowed say it even though it's a legitimate word. etarded! I say that because of its ludicrous price. Already preordered!! Cant wait. Feels a by pricey- but that's only because I don't know exactly how much content it has yet. They should make Wario a hidden character as nod back to Wario Blast on the Gameboy. The main concern is 'value for money' l would give Bomberman a go if the price was right. But at £44.99 on Amazon, the gamer is being ripped off. Unless NL scores this 100% or the price drops to £15.00 I won't be getting this game. I can down Bomberman on my Smartphone for free. If this game had been released on the Wii u last year it would be much the same as a Pacman release, budget game and middle of the road score. It seems to have been made for the Switch tablet rather than the big screen. Much like Nintendo was using the Gamepad for. @gcunit Does it use rumble, and maybe even HD rumble? It really should. Love bomberman and think these kind of multiplayer titles (Tetris, bust a move etc) should be on all consoles. Bomberman Regrettably Resurrected to Recover from Ridiculously Rudimental Range of Recreational Romps. Not sure why people are complaining about the price. It's a full game with co-op story mode, not Just a vs multiplayer like Bomberman Blast or Ultra. It's worth It If you are a fan. I thought it stood for "Really desperate to get back fans after that whole Kojima thing." @BionicDodo That message is simply brilliant. I'm going to drop that into conversations wherever appropriate. Looks good. But I am only getting it when its $30 or lower because I am really cheap. Unfortunately my budget is already spent on the switch and Zelda BOTW. But this has amazing potential especially with the online multiplayer. We can have a unique multiplayer experience for free for the first six months. Sonic R had a pretty direct inference and was a brilliant concept, probably my favourite Sonic game with Secret Rings pretty close. As for Super Bomberman R, I'm all in. No way Nintendo didn't have a hand in getting this made, same for Street Fighter. @Grawlog With what I know now, it feels more like a $20 game, but, if it proves otherwise, I may grab this instead of I Am Setsuna at launch to complement Zelda and Isaac. But knowing Konami it means Rip off. At first I thought it was going to be a remake of Super Bomberman. Usually title that ends with R are either reboots or remake such as Tales of Hearts R.
This game leaves a dry taste in my mouth. Something not right when a show case game is bomberman. Who's been dying for another adventure. @kevfrei He has the potential for a very diverse moveset (hence why I voted for him way back during the Smash Ballot). He's had elemental bombs, giant bombs (which could be used as a form of charged attack), multiple vehicles (jetpacks, submarines, etc), animal friends, whips, etc. They can even reference his N64 days by making him able to bounce off of his bombs. I definitely want this, but probably going to wait for a price drop just because it's already enough to get the system plus zelda at launch. Day one purchase! Gameplay over everything! Getting this and Zelda at launch. Amazon Prime helps a bit with the price at least, still wish it was less. I'll admit nostalgias got me hooked on this, had a Bomberman game for my Game Boy Pocket I played so much. I'm definitely going to buy this, but not at that price. I'm hoping it gets put on the Nintendo Selects shortly after launch. Remake or Remix. I read somewhere its just a Super Bomberman remake. Does anybody know if this is true? Everytime I see this title, the more giddy of excitement I get! It also stands for Ridiculous, because if it was true what the Konami employee was saying, it'd be Super Bomberman RRR. Why is there "R" in the end of so many game titles? Funny enough, I actually thought of Sailor Moon R when I first saw this game get announced. This is Konami we're talking about. We all know the R stands for "Regurgitated." At least it's not Super Bomberman G for "Gatcha!" 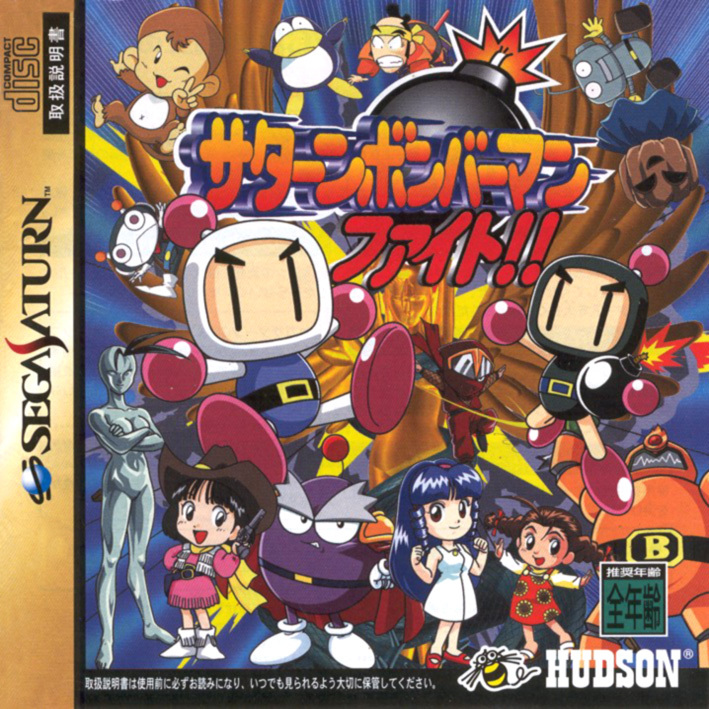 I like Bomberman, and the random R is a cute idea but in my experience the campaign in these games is always wildly unpredictable and unfun in terms of difficulty with nothing to redeem it and I don't see how co-op would improve that. So until I see some reviews saying otherwise, I'm treating the pricing as $50USD for a few multiplayer arenas. Lol I thought it meant resurrection since... you know. @Senpai_Bruh You know Sailor Moon?? But I thought your previous avatar of Ami Mizuno was just a coincidence! I'm have some found memories of bomberman on the N64, this game looks just as fun. I'll definitely be grabbing it on the Eshop. If anyone doesn't like the $50 price tag, just order with Amazon Prime and get 20% your Pre-Order. @MagicEmperor Of course I do! My profile pics are from shows I've watched (right now it's Asuka from Neon Genesis Evangelion). I wouldn't make my profile pic from something I don't know about. And besides, Sailor Mercury is the best Sailor Scout (or Senshin, which ever you prefer). Won't be cancelling this preorder. 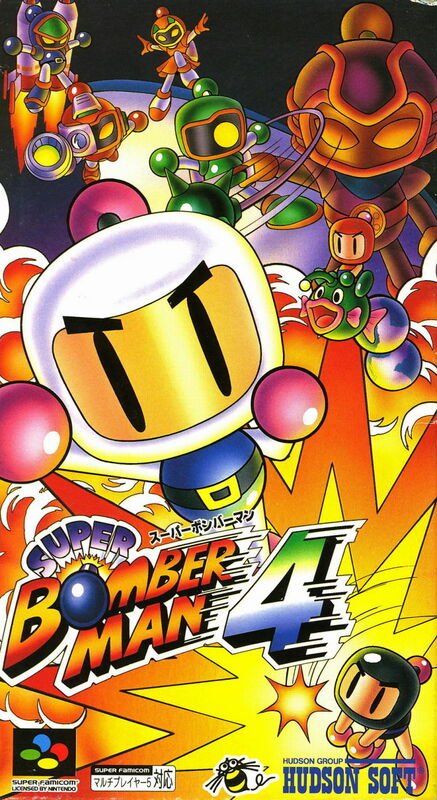 I have to admit that I'm a fan of Bomberman from the start but I haven't played that much of it. Still, the idea of being able to use the Switch this way with four people anywhere is too enticing to pass up at launch. I'll Regard it and Rope it in from Retail — no, I have to stop, that's not working. Realizing that I need to wait on buying a Switch for a while as I still have a huge backlog of Wii U games that will keep me quite busy this year, I still wanted some Bomberman action. So, I went to the Wii eshop, inside the Wii U's Wii compatibility mode and bought Bomberman Blast. Now of course I don't get the online play, as that as long been killed. But, I can play up to 8 players locally (not that I ever will). Game holds up great! Had some friends over last weekend and they wanted to play it for hours. Biggest downside is that I don't have an icon for it on my main Wii U menu, and have to remember to put it into Wii mode. But small price to pay to play Bomberman now.